There’s no question that holding elite status at a hotel chain can improve your stays, thanks to benefits like late checkout and complimentary room upgrades. Below, TPG Senior Points & Miles Contributor Nick Ewen takes a look at the top-tier statuses across all hotel programs, to help you determine which is the best fit based on your preferences and travel habits. Whether you travel for business, pleasure or a combination of the two, holding hotel elite status can make your trips more enjoyable due to the array of benefits the major chains provide. However, if you aren’t a road warrior (or are like me and recently left the world of road warriors), you probably don’t rack up enough stays or nights in a year to earn top-tier status with multiple programs. You also may be thinking about your plans for 2016, so today I’ll do a detailed comparison of these levels across the major chains to help you decide which one fits best with the perks you want on your next stay. Hyatt Diamond status can get you a number of perks at properties like the Andaz San Diego, but is it the best top-tier hotel status? Qualification criteria: Each program sets specific stay and/or night requirements that you must hit each calendar year to earn top-tier status, so we’ll look at how easy (or hard) it is to reach the highest level in each one. Remember though that you can get around these with certain credit cards (as you’ll see below). Award nights: A related characteristic is whether the chain counts award nights toward status, so we’ll see which programs give you credit when you redeem points for free stays. Bonus points: Each program provides members with bonus points per dollar spent, so we’ll look at these bonus amounts. To compare apples to apples (since we know that not all points are created equal), I’ll utilize TPG’s most recent valuations to calculate the additional return you get for every dollar spent with each chain. Room upgrades: Scoring a better room than the one you booked can really enhance a trip, so we’ll see how each chain handles upgrades. Suite upgrades: I’ve separated out suite upgrades since there’s a wide spectrum for how hotel programs handle these. Some chains offer specific instruments to confirm these upgrades while others exclude them altogether. A simple “Yes” indicates that they aren’t specifically excluded from the benefits. Breakfast: I’ve learned that starting a busy day of touring is much better with a full stomach, so we’ll take a look at how each chain deals with breakfast. Other amenities: This category includes things like complimentary internet access and welcome gifts. Published added benefits: Some chains allow additional perks for surpassing higher stay/night thresholds, so we’ll see how you can make your status even more rewarding. Lifetime status: We’ll take a look at which chains give you a pathway to earning lifetime status. Credit card: As I hinted at above, there are certain credit cards that allow you to get around the top-tier qualification criteria, so we’ll take a look at those options. Value: This last category will take a look at the overall value you can get out of a program based on my analysis earlier in the year. I’ll include a yearly figure as well as the value you can expert per stay and per night. As you can see, there are some definite similarities across the various programs, but which program comes out on top in each category? Both Hyatt and Starwood Preferred Guest allow you to earn top-tier status by completing just 25 stays or 50 nights. However, I’ll give the nod to SPG here because they count both paid and award stays towards elite status qualification. You can also earn credits toward qualification simply by holding the Starwood Preferred Guest Credit Card from American Express, whereas Hyatt requires you to spend $20,000 a year to utilize those benefits. However, some might argue that Marriott and IHG are the winners in this category, since both those programs make it the hardest to earn elite status. Surprisingly enough, the two clear winners are Club Carlson and IHG Rewards, two programs that don’t typically make the cut when discussing the most rewarding hotel loyalty programs. Their top-tier elites earn an additional 6% and 7% returns (respectively) on paid stays. 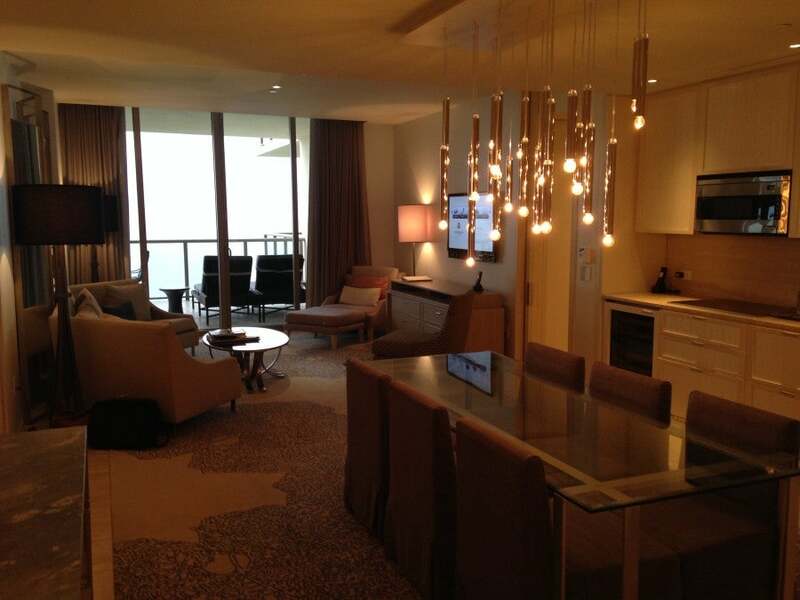 Our massive suite at the St. Regis Bal Harbour was a result of my SPG Platinum status. I combined these two categories because all chains include room upgrades as a benefit. However, the programs handle suite upgrades a bit differently. IHG Rewards, for one, specifically says that hotels aren’t required to upgrade top-tier elites to suites (and in fact, the upgrade benefits don’t apply on award stays at all). Hyatt Gold Passport is simultaneously generous and stingy; Diamond members do get four suite upgrades per year valid on paid stays of up to 7 nights, but suites are technically excluded from the program’s complimentary upgrades (though I haven’t seen that enforced strictly). I’d give the nod to SPG in this category due to the fact the standard suites are part of the regular Platinum upgrade benefit and also available to be confirmed in advance by 50-night Platinums using Suite Night Awards. 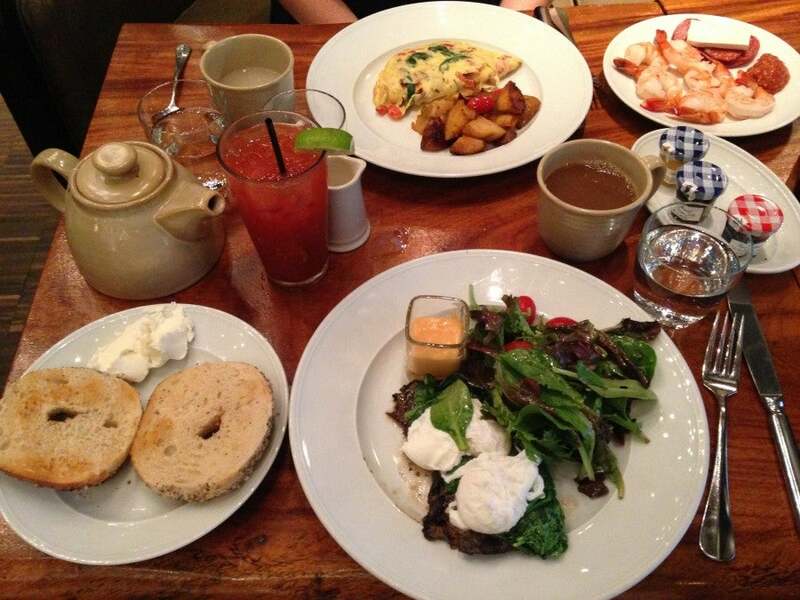 The Andaz Wall Street includes a terrific breakfast spread for Diamond members on the weekend. Most of the chains are relatively comparable when it comes to free breakfast (with the exception of IHG, which doesn’t give you breakfast unless you are upgraded to a club floor). To be honest, I have found that the breakfast benefit for top tiers is highly dependent on the individual property. Some, like the St. Regis Bal Harbour, put on an impressive display, whereas others provide the most basic of spreads. This aspect of top-tier status is much harder to judge, as much of it depends on what you prefer during a hotel stay. I would put Club Carlson and IHG at the bottom (with relatively unimpressive benefits), but at the other end, I’d probably call it a toss-up between Hyatt and SPG. If you regularly take Uber during your hotel stays and/or frequently fly Delta or Emirates, SPG is probably your best bet. I was able to rack up a lot of extra SPG points when traveling on Delta, though like TPG, I too have now broken up with Delta. As a result, I am now a Hyatt guy through-and-through. Though these may not be the most valuable or useful benefits out there, it’s still great to see a program recognizing loyalty above and beyond a given qualification threshold. I certainly wish other chains would do so! Hilton was the latest chain to add the ability to earn top-tier status for life. Two of the programs (Marriott and Hyatt) have offered the ability to earn lifetime status for years, while SPG joined the party in 2012 and Hilton Honors jumped on the lifetime status bandwagon earlier this year. I’d say that this is a toss-up between Marriott Rewards and SPG, though I’d probably give the slight edge to Marriott. The program’s criteria for Lifetime Platinum status was actually loosened back in 2012, as you no longer need a certain number of years of status to qualify. Even though you need many more nights than SPG (750 compared to 500), Marriott does count all points and stays toward lifetime status (including those earned on credit cards). Remember too that Marriott’s footprint is also much larger than SPG’s, with roughly three and a half times as many properties, making it much more likely that you’ll find a Marriott hotel in your next travel destination. 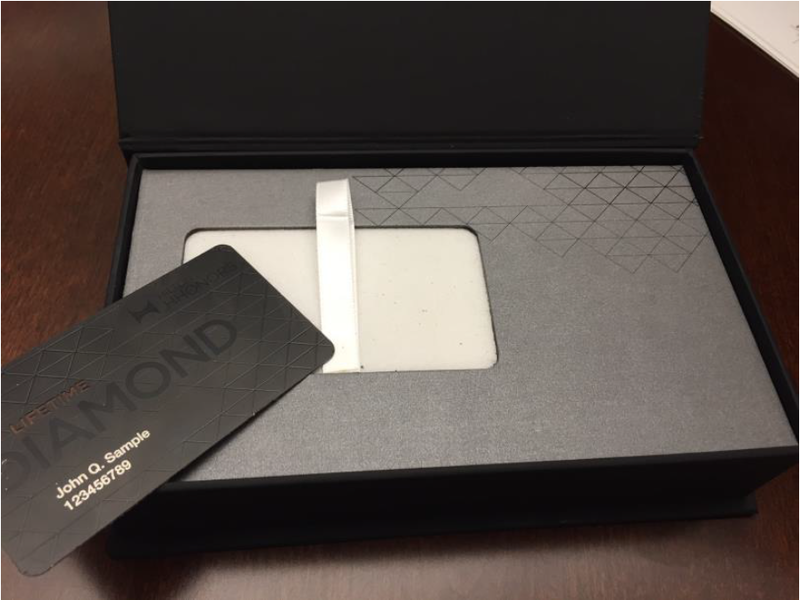 Marriott’s top-tier Platinum status is within reach with the program’s co-branded credit card from Chase. I love the fact that so many credit cards include automatic hotel elite status. However, just a few allow you to earn top-tier status by virtue of your spending (though TPG Editor-in-Chief Zach Honig did discover that there are sometimes glitches that allow it to happen!). The two easiest are from Hilton, as the Citi Hilton HHonors Reserve Card and the Hilton Honors Surpass Card from American Express both grant you automatic Diamond status after spending $40,000 in a calendar year. The Marriott Rewards Premier Credit Card also allows you to purchase top-tier status, though it’ll require you to spend $180,000 (without any Marriott stays). As mentioned earlier, this final category is based on the analysis I did on all levels of hotel elite status earlier this year. My preferred program (Hyatt Gold Passport) actually came out on top, with value per stay ($74.88) and per night ($51.24) landing significantly higher than the other programs. Top-tier hotel status can open up valuable benefits like the adults-only club area of the Conrad Bali. Any type of hotel elite status can be quite valuable, and these programs are making it easier than ever to earn status through avenues like credit cards and status matches. However, top-tier status is really in a league of its own and can provide some incredible benefits on your next trip. While some properties might provide you additional benefits (like the baby girl cake pops we got at the St. Regis Bal Harbour), hopefully this post has given you some guidance as to which top-tier hotel elite status fits best with your travel style. What is your favorite top-tier hotel elite status?